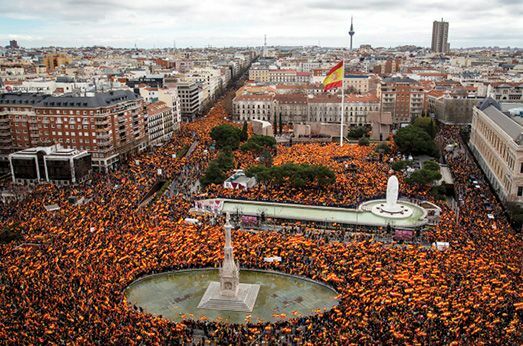 Some 45,000 demonstrators marched in Madrid this week to call for the ouster of Prime Minister Pedro Sánchez, who they claim has betrayed Spain by planning talks with separatist politicians in Catalonia. The protests were triggered by the government’s willingness to hold talks aimed at ending the independence crisis in Catalonia, the rich northeastern region that is home to Barcelona. Pablo Casado, leader of the right-wing opposition Popular Party, told protesters that Sánchez should stop talking “with those who want to break up Spain” and instead hold a snap election. The rally came just days before 12 Catalan elected leaders went on trial for the crime of rebellion for having declared their region independent in 2017, after secessionists won a low-turnout independence referendum. The defendants face up to 25 years in prison. At least four people were killed and dozens more injured in Haiti this week as violent demonstrations shook Port-au-Prince, with demonstrators calling on President Jovenel Moïse to step down. Some protesters set up barricades of burning tires in the road, and others hurled rocks at Moïse’s house. The demonstrators are angry over the government’s failure to prosecute top political and business figures accused of embezzling millions of dollars in loans that Venezuela gave Haiti in 2008 to buy oil. Moïse, a businessman who had never held public office before becoming president two years ago, has presided over a deepening economic crisis marked by high inflation and allegations of corruption. Many workers at President Trump’s luxury golf club in Bedminster, N.J., are or were undocumented Latin Americans—and a large number of them came from a single town in Costa Rica, The Washington Post reported this week. From the Trump National Golf Club’s inception in 2002 until now, dozens of workers from Santa Teresa de Cajón filled jobs there as groundskeepers, housekeepers, and dishwashers. 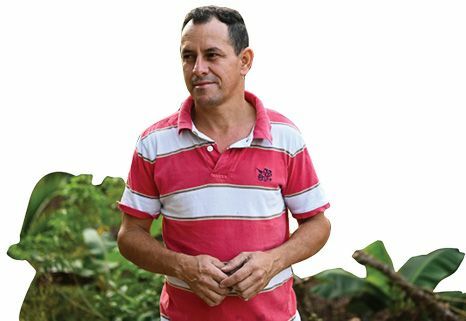 “My whole town practically lived there,” said Mauricio Garro, 36, a maintenance worker who returned to Costa Rica in 2010. The workers say their managers knew of their illegal status and exploited it by paying them low wages, with no benefits or overtime pay. “They treated us like slaves,” said groundskeeper Franklin Mora. The Trump Organization had no comment on the Post’s reporting. 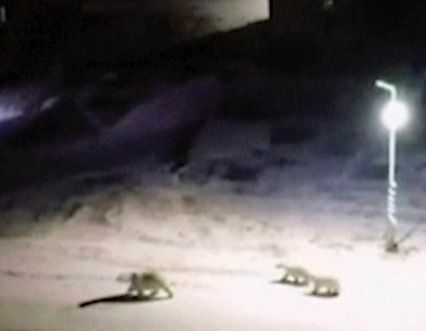 Hippos imported to Colombia by cocaine kingpin Pablo Escobar in the 1980s have multiplied and can now be found wandering around a town in the country’s northwest. Escobar, who was gunned down by police in 1993, stocked a private zoo at his Hacienda Nápoles estate with numerous African animals, including rhinos, giraffes, and elephants. The government relocated most of the beasts, but left four hippos behind. Now there are at least 50 of the colossal mammals. They frequently escape the ranch, now a theme park, and end up in the neighboring town of Puerto Triunfo. 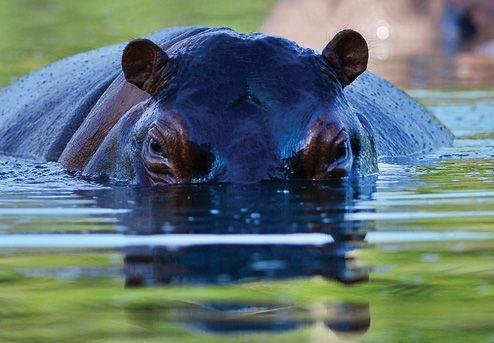 So far, there have been no attacks, but in their native Africa, hippos cause more human deaths than any other large animal. 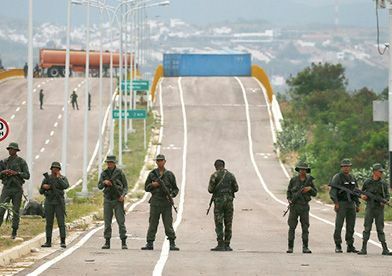 In what could set up a showdown with the army, Venezuelan opposition leader Juan Guaidó said this week that he would organize caravans of supporters to bring emergency aid across the border from Colombia to relieve his country’s humanitarian crisis. President Nicolás Maduro has blocked the entry of international aid convoys, saying they are part of a U.S. coup against him. Guaidó, leader of the democratically elected National Assembly, has been recognized by most Western nations as Venezuela’s legitimate president. But Maduro still has the loyalty of the army. Venezuela is in dire need of food and medicine, after years of mismanagement by Maduro ravaged the economy and sent some 4 million people fleeing abroad. Guaidó this week distributed a small cargo of nutritional supplements; he did not say how it crossed the border. Separatists fighting for an English-speaking homeland in largely French-speaking Cameroon attacked and torched a hospital this week, killing four people, including two patients. Local media reported that the separatists believed the hospital had been disclosing the identities of their wounded fighters to the military. Meanwhile, the army has been accused of atrocities against civilian English speakers as it puts down the rebellion, and in response this week the U.S. scaled back its military cooperation with the country. The U.S. has 300 soldiers stationed in Cameroon to help with counterterrorism campaigns, including the fight against the Nigerian Islamist group Boko Haram. Russian authorities are considering a plan that would temporarily disconnect the entire country from the internet. The government says it will soon run tests to see if it’s feasible for the country’s internet traffic to be routed only through servers controlled by Roskomnadzor, the state telecom regulator, rather than ones based abroad. The ostensible purpose is to see if Russian internet providers can keep operating should foreign powers try to isolate the country’s web, but critics fear the Kremlin wants to be able to block foreign websites. Whether the plan is workable is far from clear. 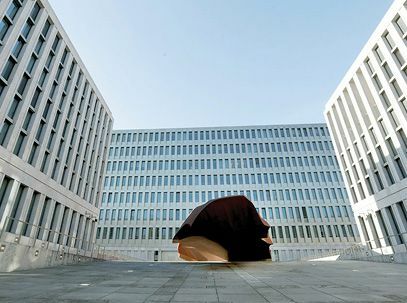 The international, interconnected nature of the internet means some local websites and services such as banks and hospitals could go dark when the plug is pulled. “There could be catastrophic failures,” said Paul Barford, a computer science professor at University of Wisconsin–Madison. In a bid to reverse Hungary’s plummeting birth rate, Prime Minister Viktor Orban is offering a generous incentive to get pregnant: Any woman who bears four or more children will pay no income tax for the rest of her life. 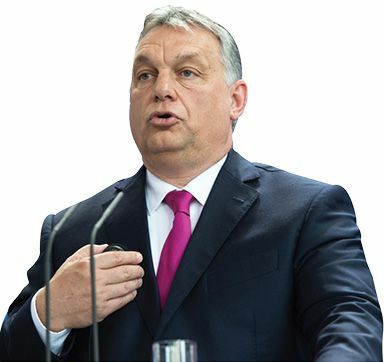 Orban said that he would not follow the example of other countries that make up for falling populations by welcoming immigrants. “We want Hungarian children,” he said. “Migration for us is surrender.” Hungary’s birth rate is 1.45 children per woman, far below the 2.1 needed to maintain the population. More than 10 percent of Hungarians—nearly 1 million—emigrated to Western Europe after the country joined the European Union in 2004, and only a few hundred thousand have returned. Thai authorities are seeking to ban a political party that wanted to nominate the king’s eldest sister as prime minister. 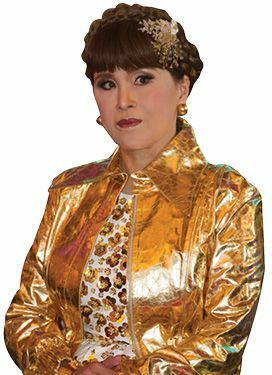 Princess Ubolratana, 67, had planned to lead Thai Raksa Chart, a party aligned with Thaksin Shinawatra, the former populist prime minister who was ousted in a 2006 coup. While the royal establishment opposes Thaksin, he or his supporters have won every Thai election this century. But King Maha Vajiralongkorn said his sister’s participation in politics would be “highly inappropriate,” and now the whole party may not make the ballot. The March vote is the first election since Thaksin’s sister, Yingluck Shinawatra, was ousted as prime minister in a 2014 coup. If no Thaksin-linked party runs, the junta will rule unchecked. Hundreds of thousands of Iranians thronged the streets of Tehran and other cities this week, chanting “Death to Israel! Death to America!” in celebration of the 40th anniversary of the Islamic Revolution that overthrew the U.S.-backed shah. “Iran will continue to expand its military might and missile program,” said President Hassan Rouhani. 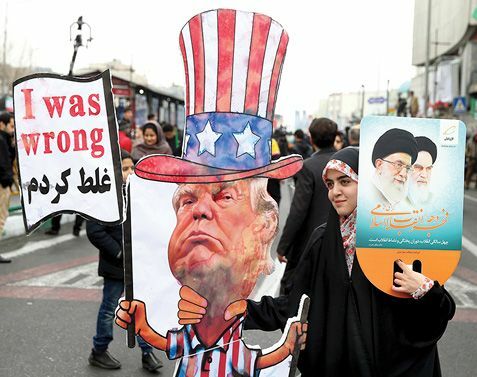 He promised an economic recovery, but the country is suffering greatly under U.S. sanctions that were reimposed after President Trump pulled out of the 2015 Iran nuclear deal. The rial has sunk, and prices have soared. Iran’s hard-liners, who said the more moderate Rouhani was wrong to sign the Obama-era nuclear pact—which gave Iran financial relief in exchange for curbs on its atomic programs—are now gaining in strength.